Still need affordable fares for your incoming trips? 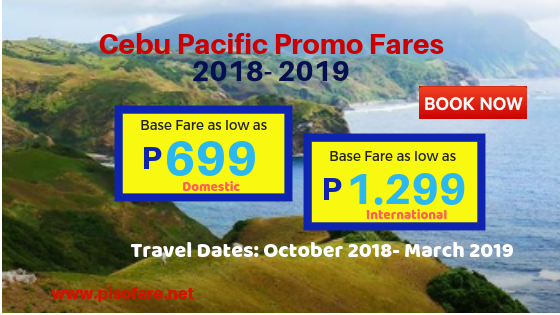 Check the latest Cebu Pacific promo tickets for 2018 to 2019! Domestic promo s of Cebu Pacific start at P699 base fare promo for select routes from Manila. You may book sale tickets to other local routes as low P799, P999 and more. Please take note that quoted Cebu Pacific promo ticket prices are good for one-way base fare except when specified. Lots of local places on sale including popular tourists’ haven like Batanes, Bacolod, Tagbilaran and more. Traveling to international destinations? Fly from Manila to Hong Kong, Macau or Guangzhou for as low as P1,299 base fare. 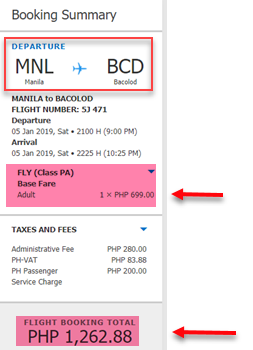 Good thing for this seat sale is you can use the affordable fares for flights in the last months of 2018 and extended to the first 3 months of 2019. Hurry and book promo tickets to your desired destination now! Booking online at the airline website: www.cebupacificair.com. Promo Code not required in booking. Buy the low fares at Cebu Pacific sales & ticket offices in Metro Manila, Luzon, Visayas, Mindanao. Purchase promo tickets at Cebu Pacific accredited travel agencies and booking offices. Contact the customer hotline numbers: Manila- (02) 528 7000; Cebu (032) 230 8888. 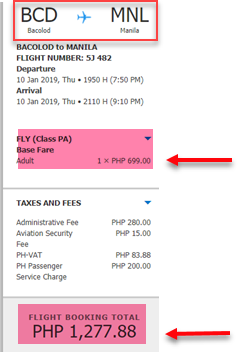 Valid for one-way fare, Cebu Pacific sale ticket cover only the base fare. Web Admin Fee, taxes and fees, Passenger Service Charge shall be added to the base fare to get the total ticket price. Cebu Pacific sale tickets are LIMITED. Not all flights are on promo. Promo fares include 7 kilos free hand carry baggage. To save on checked baggage fees, pre-book your baggage allowance which you can do during booking or up to 4 hours before your flight departure. Cebu Pacific promo tickets are non-refundable and non-reroutable. Change in name is not allowed. For NO SHOW, ticket is considered flown; fares and other fees are forfeited. Ticket re-booking is permitted subject to rebooking charges plus fare difference. Want to avail the promo fares? Book or buy tickets the soonest possible time. The lowest fares are sold out first. For more Cebu Pacific, Philippine Airlines, Air Asia and other airlines seat sale and promos, visit our Facebook: PISO FARE TICKET!